Heating may represent comfort, but it also comes with significant dangers. 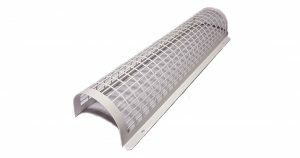 Ensure added protection by investing in thermoguards for your tube heaters. National Burn Awareness Day is hosted by the British Burn Association in collaboration with the Children’s Burns Trust in October each year. The initiative highlights the risks of common dangers in the home and working environments, which increase the likelihood of an individual experiencing a burn. Recent data revealed by the NHS, finds that 288 children are admitted to the NHS Burns service each month, but this number only relates to those with serious scalds and does not account for the thousands more that are seen by A&E departments. The home environment was the cause of burn incidents for 77% of children and 81% of the older population, while the workplace was the most common problem location for younger adults. The causes of burns among young and elderly are varied, as there are many dangers such as household appliances, exposure to sunshine, barbecues and spilling hot drinks that all have horrifying consequences. However, direct contact with radiators was the biggest risk factor for the older generation. This article discusses why central heating radiators can be so dangerous, and how tube heaters equipped with an appropriate safety guard can minimise the risks of injury within the home and workplace. Why Are Central Heating Radiators Dangerous? Radiators use hot water and steam, which travels up the fins of the appliance, heating it up until it is hot enough to warm the air around it. In doing so, radiators and the pipes that connect to them can become extremely hot. They can be the cause of injury for anyone who comes into contact with them when they’re piping hot. However, another danger risk is if the radiator malfunctions. This has been highlighted by the tragic story of two toddler sisters who were killed in their Bronx family apartment in December 2016, when the radiator valve cap flew off, releasing steam into the room they were sleeping in. If a radiator cover had been used, then it is likely it would have blocked the force of the steam from escaping and may have saved their lives. Tube heaters represents a much safer option for heating small spaces such as apartments, or offices. They provide a low cost, background heat at 110V or 240V depending on your requirements. Designed with safety in mind, the tube heaters are IP54 rated and can complement any existing domestic or commercial heating setup. They can even be installed in banks, by using a linking kit for optimal results. However, it is the use of thermoguard protectors for the heaters that really offer peace of mind for anyone that installs tube heating. The guards are constructed with durable materials, in either single or double sizes depending on whether you’re using an individual heater or have a bank installed. These cover the heater entirely and offer excellent protection in environments where children, elderly people or pets are present. While heat is certainly an essential part of living comfortably, safety is paramount when it comes to heating solutions. Investing in tube heaters with thermoguard protectors will bring you peace of mind, and you can even add some in addition to your current radiator set-up. Just make sure you’re using covers for all your heating appliances for maximum protection.